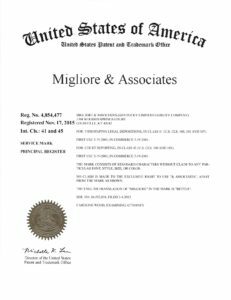 Migliore & Associates® is now a registered trademark. “The court reporting game is a tough racket. It’s tougher still when a competitor registers an Internet domain name that is confusingly similar to your business name then links it to its own website.”–Judge John G. Heyburn II, Motion For Summary Judgment in re: Migliore v. Kentuckiana Reporters. It’s been a long battle to protect our name and keep it out of the hands of our competitors. Great news! 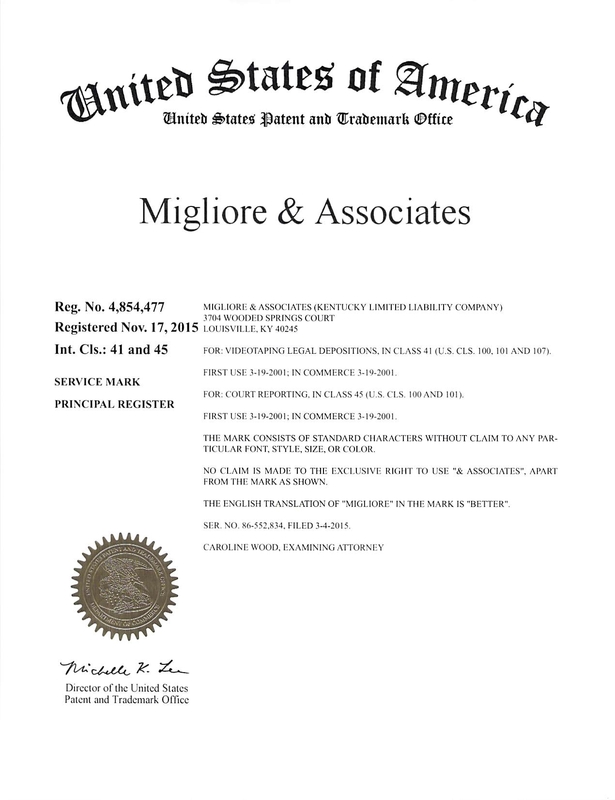 Migliore & Associates® is now a registered trademark.